Here is a look at what I purchased.. I have been very curious about the Hourglass ambient lighting powders and couldn’t decide which one to get.. so ended up buying a full size of the product in ‘Dim Light’ and the Hourglass Ambient lighting palette featuring Dim light, Incandescent light and Radiant light.. I fell so much in love with these Ambient lighting powders that I have ordered another one!! I was also color matched to the Hourglass Immaculate foundation in ‘Beige’ during the Sephora color IQ test.. Had tried the sample and fell in love.. I had been waiting for the 20% off sale to purchase this one since its so damn expensive ($55)! Finally got it! 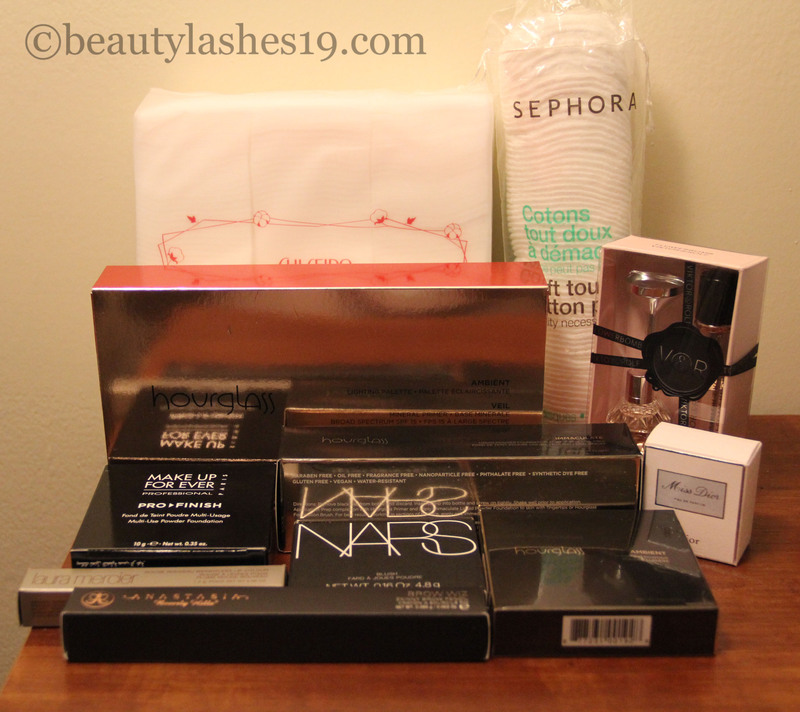 I also had a few other items on my list that I wanted to get when the Sephora sale would start.. 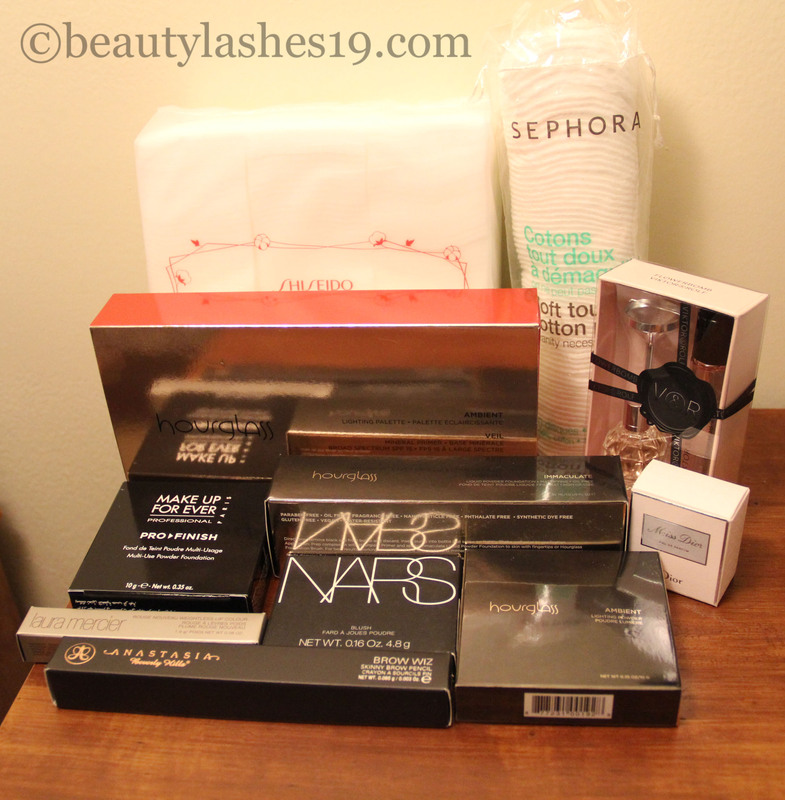 So, I purchased NARS powder blush in ‘Liberte’ , Laura Mercier Rouge noveau weightless lipstick in ‘Cafe’, Anastasia brow wiz in ‘Ebony’, MUFE pro finish powder in #123, Shiseido facial cotton pads, Sephora cotton pads and Viktor & Rolf Flowerbomb Travel Duo..
Also, redeemed 100 points for Miss Dior perfume.. Looks like I am set for a loooong time!